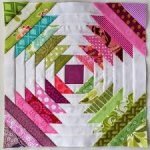 Perfect sampler for the Accuquilt owner! 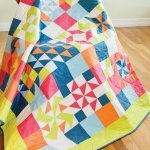 Perfect for the beginning quilter! Learn the super popular technique used for rugs, bags, place mats and so much more! In this class B215, B330, B350, B380 Owners will learn how to use their machine to it's fullest. From cleaning, maintenance & basic function to more creative techniques. There is a $25 Kit fee that you will pay the first day of class. Perfect class for the confident beginner! Perfect class for the Holidays! Ideas, tips and techniques for collars and cuffs! 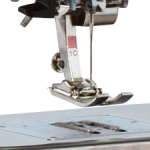 New Bernina Embroidery Machine Owners will take this class to learn how to maintain, basic function and creative uses of the Embroidery Machine. Skill Level: Beginner Come learn the tricks to sewing on knit. These sweet layettes are the perfect baby gift for a boy or girl. This is a great class for the confident beginner. Simple project to learn pillow construction. Perfect dress pattern for the beginning garment sewer. Perfect class for the beginner. New Bernina Machine Owners will take this class to learn how to maintain, basic function & creative uses of the Sewing Machine. 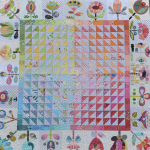 Perfect class for the intermediate quilter. Be the hit of the party with custom wine bags and coasters!